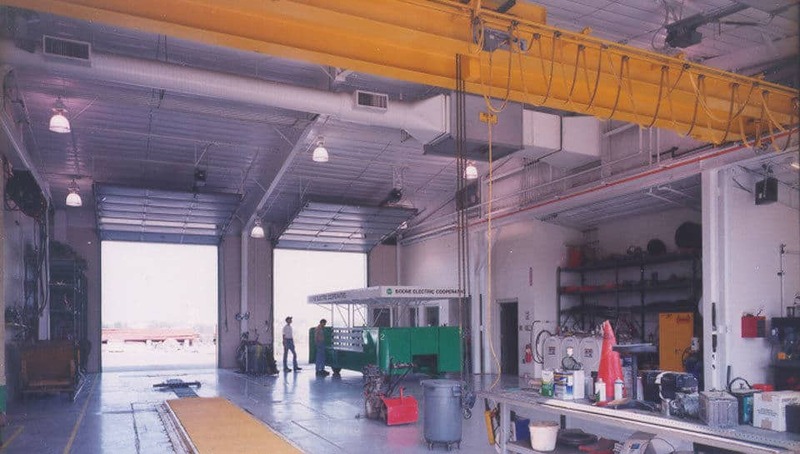 Vehicle Maintenance Facility at Boone Electric - PWArchitects, Inc.
Boone Electric, founded in 1936, has experienced phenomenal growth along with the area it serves. To accommodate this growth, the vehicle maintenance facility addition nearly doubled the existing office area, as well as the vehicle maintenance service facility. Furthermore, all areas were brought up to code, including ADA. Besides the office area enlargement, 10,000 square feet was added to accommodate a growing fleet of service vehicles, whose maintenance alone justifies a department of considerable size in the customer oriented utility. The existing office areas were also given a face lift with new flooring and wall finishes resulting in a comfortable, customer-friendly atmosphere.